Nicole’s beauty talents range from performing the latest spa therapies to applying the latest makeup techniques. 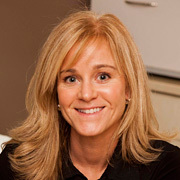 With the creation of the cassandra spa in 2004, Nicole will be specializing in the advanced skin care modalities now being offered, including those treatments that address specific problems such as acne. She is a highly skilled makeup artist who enjoys working with brides to achieve a flawless look on their wedding day.